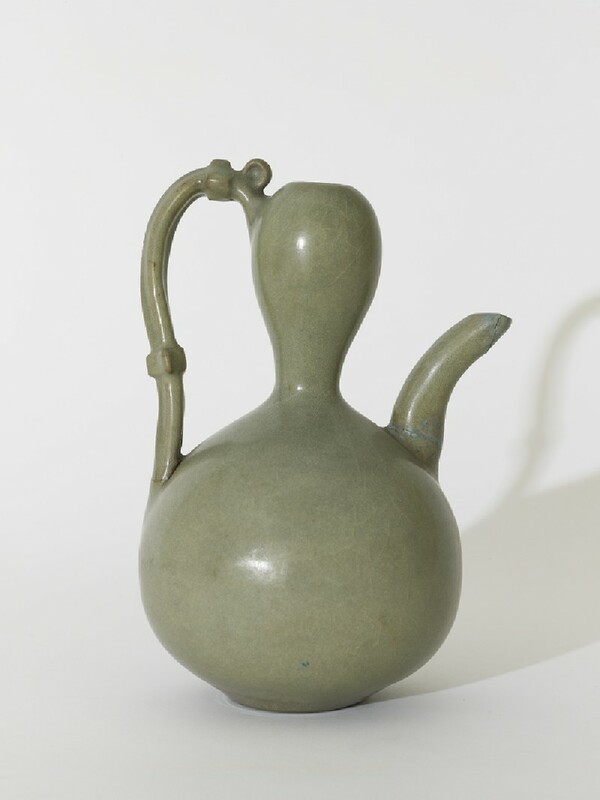 Korea shares many ceramic traditions with its East Asian neighbours. 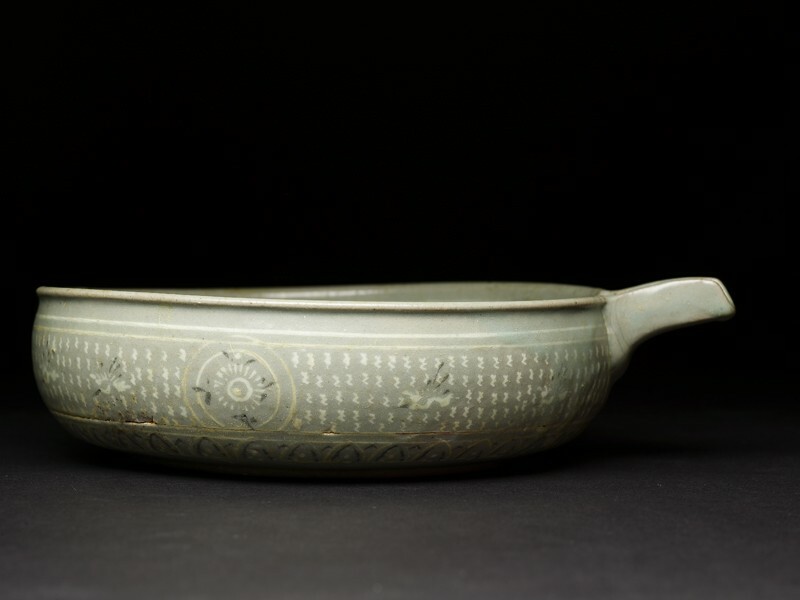 Early connections with China resulted in startlingly similar greenwares. 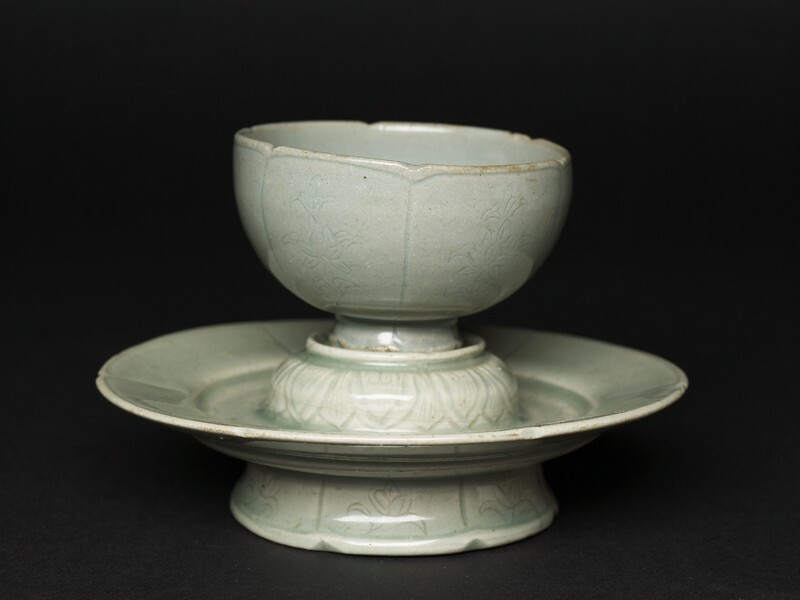 Later, the porcelain stone that covers southern China, Korea and Japan resulted in the production of porcelain wares. 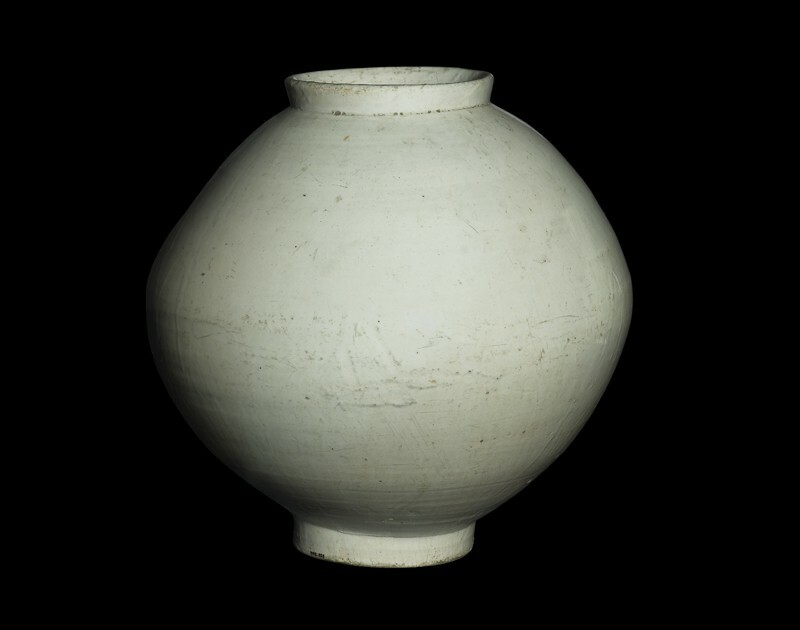 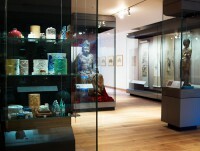 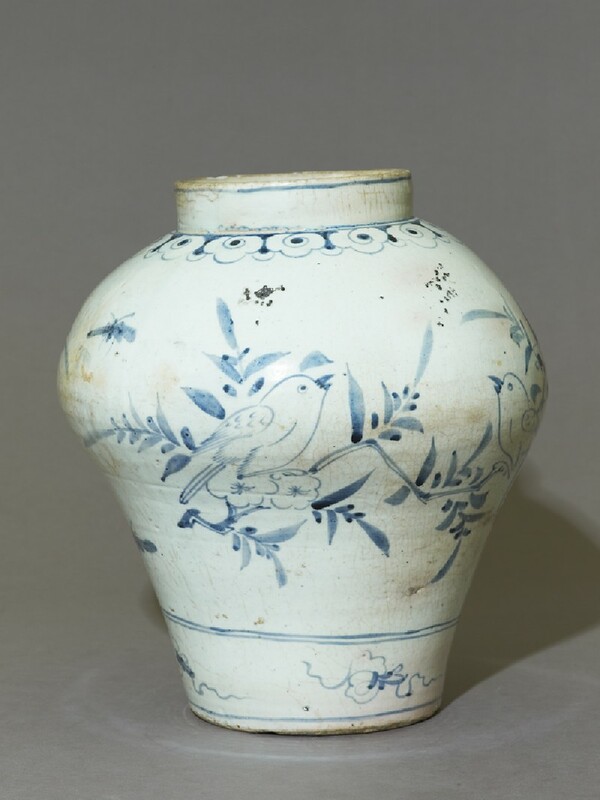 However, some aspects of the Korean ceramic tradition are distinct. 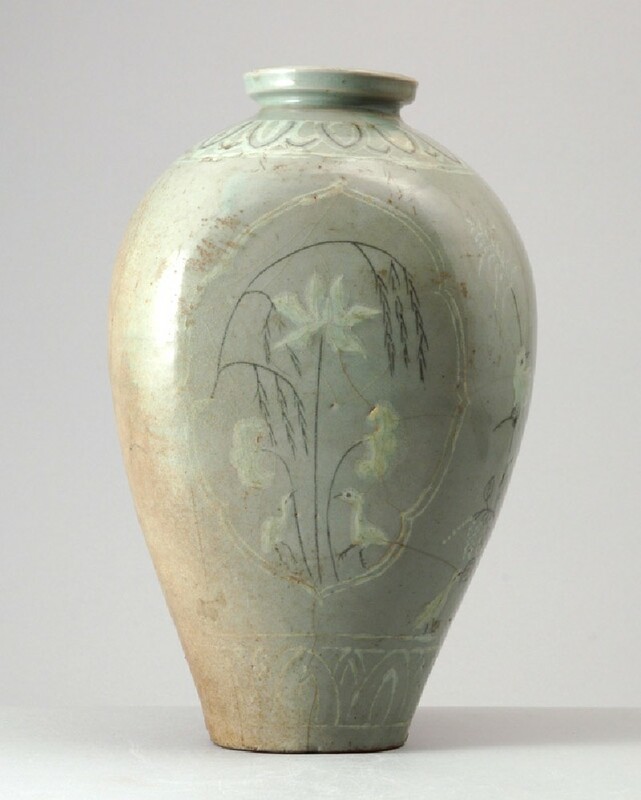 Extraordinarily large forms with imperfect symmetry are unique to Korea. 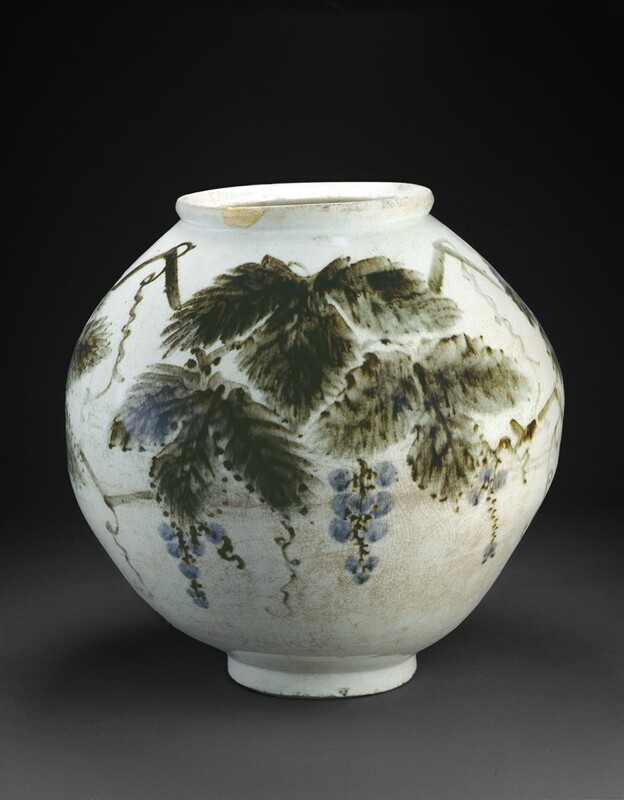 The vase with grape vine displayed in this case is an outstanding and highly acclaimed example. 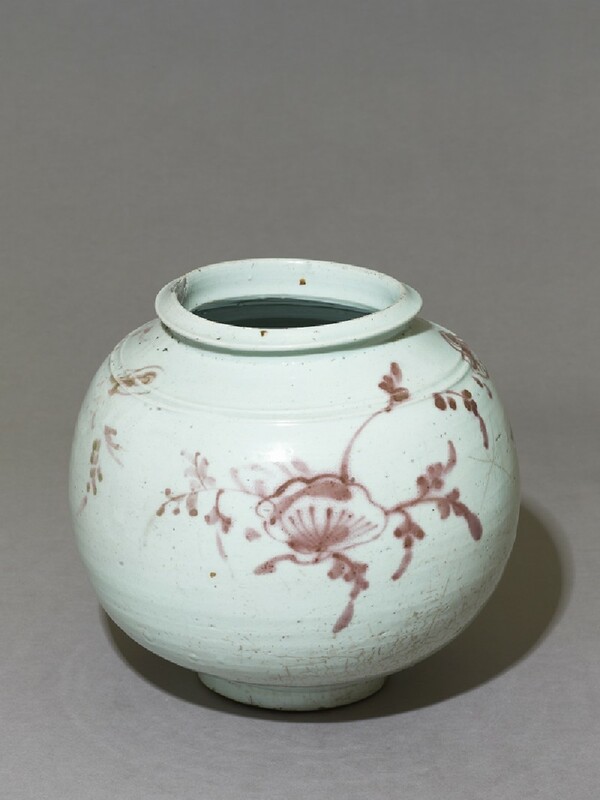 The techniques of underglaze painting in cobalt blue and copper red were adopted for porcelain decoration, while the use of iron brown to produce painted designs is rare outside Korea.